The dust has now settled after last week's Apple keynote. What were the most interesting announcements for consumers and developers? For me - Apple Pay and the Apple Watch. 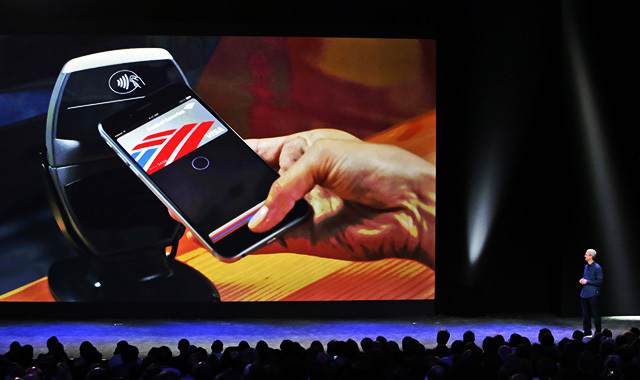 One of the key things Apple announced was the arrival, at long last, of an NFC-based payment solution. Once again, Apple stepped back and rethought the most effective way a consumer might interact in the checkout till payment process. This is particularly relevant in the USA, where payment processing at the till is a drawn-out and painful process, involving little touch screens and silly pens, magstripes that don't quite scan, and the production of additional ID in order to verify signatures and ensure you aren't a scam artist. In the UK, where Chip-and-PIN based payments are now the way business is done, these systems are rightly seen as antiquated. We've even got NFC payments widely available at the till and built into many of our credit cards and debit cards. But in adversity springs creativity; and it looks like Apple has nailed this one. From a consumer perspective, Apple has made getting your credit cards into the device nice and easy - take a photo of them and in they go. Payments are simple, and appear to require a modern device with TouchID to ensure that your details are kept safe from prying eyes. Apple has put the NFC antenna at the top of the device, so touching the scanner and having your thumb on the fingerprint sensor looks like a wonderfully smooth experience. Financially, with what looks likely to be a 0.15% cut for transactions via Apple Pay this should be a tidy earner for Apple, and consumers, at least in the USA, will flock to it. How it plays elsewhere is less certain, as till payments already have somewhat less friction, but in the UK the ability to remove the PIN from transactions will help Apple make progress here. Fun fact - PayPal are feeling so threatened by this that they took out a full-page attack ad in the New York Times, implying that your payments will be no safer than your selfies were. The other big announcement, of course, was the Apple watch. I was somewhat unenthusiastic about the last product Apple announced - the iPad - but this time they have my attention. Apple aren't the first to the table with connected watches. As I discussed previously there have been plenty of attempts by Android vendors and others to lay out their stands in this space and try to claim people's wrists. So far the most promising attempt has been the Pebble, but that still looks too geeky, has too poor a screen and just doesn't inspire. The Pebble made too many compromises for the sake of battery life, and consumers have become increasingly accustomed to charging devices overnight, at least in western economies. The haptic ("tactic") engine coupled with the interactions made possible with contacts. The idea of sending a "tap" to another person and receiving little pictures allows for a much more intimate form of communications which I think consumers will gravitate to. 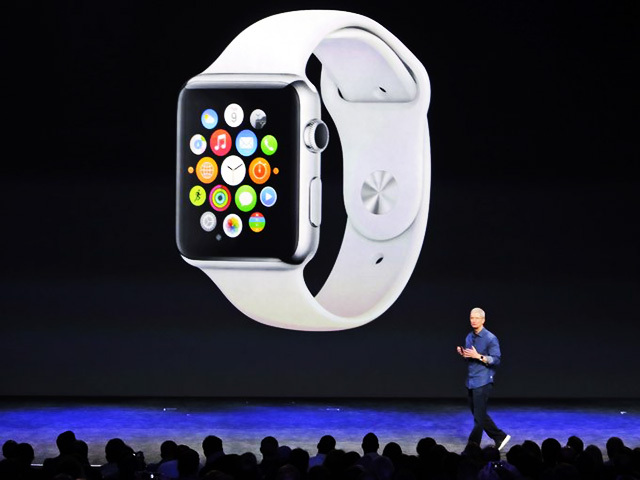 The physical customisability, which will drive users to buy the watch and stock up on accessories. Given Apple's ability to make money out from it's stores, authorised (and unauthorised) accessories will create a huge secondary market. This will be beneficial both for the bottom line and create an entirely new ecosystem for third parties. I find the digital crown less convincing. It's a cute idea, retaining the traditional look of the watch and leveraging a familiar interface to create digital input, but watch crowns are usually used by removing the watch from the wrist. They are also an infrequent input in traditional watches, for winding or for changing the time when you get off the plane in a new timezone. Trying to shift the crown from a peripheral input method to a core interaction mechanism is quite a risky move. Frustrating as well is the mandatory iPhone link. I think an opportunity was missed there to blow Android Wear out of the water by allowing the Apple Watch to be used with Android devices and by doing so attract people who don't already have an iDevice. It would have surprised analysts and excited people, attracted developers and opened an entirely new market for Apple. Maybe we'll see that in the future. Apple Pay is mainly a benefit to consumers (and Apple themselves), but the Apple Watch is an exciting prospect for developers. Unlike the current iteration of Android Wear devices, I think consumers will buy the Apple Watch in large numbers. They will customise their watches with applications. Developers need to plan accordingly. So if you've got an application for the Apple Watch in mind, don't hesitate to get in touch with us - we'd love to help.